I was in the market for a mechanically superp vehicle that I would not have to do any work on. I also wanted a car that had next to perfect cosmetics so that I would not need to repaint the car. I found this car advertised like this at eBay. I quote from the eBay listing: "IF YOU ARE IN THE NARKET FOR A GREAT SILVER SHADOW II THAT NEEDS NOTHING TO BE DONE TO IT THIS IS THE ONE TO BUY. PLEASE CALL BOB AT 954-779-1000 FOR ANY QUESTIONS THAT YOU MY HAVE. 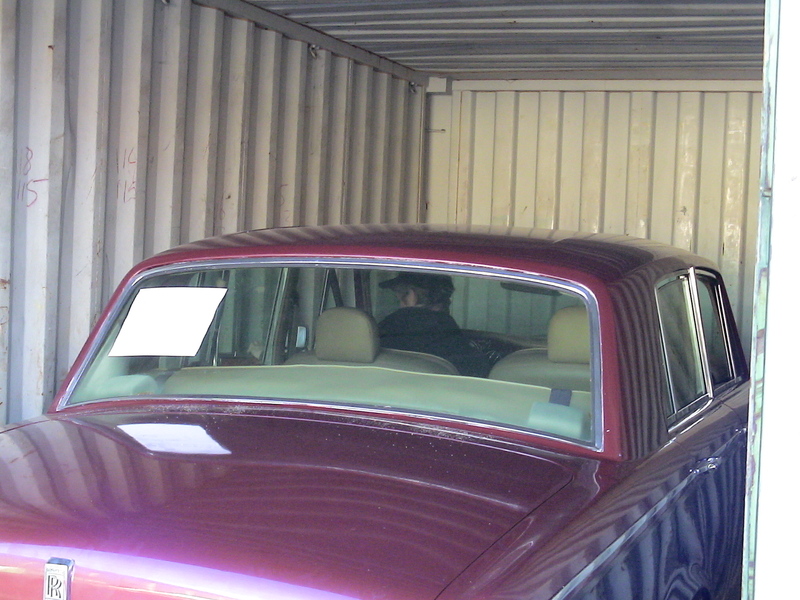 YOU CAN BUY WITH CONFIDENCE BECOUSE WE ARE SEVICING AND SELLING ROLLS ROYCE CARS FOR OVER 35 YEARS. Although you won't be the first owner, you will never know that from this vehicle's condition." 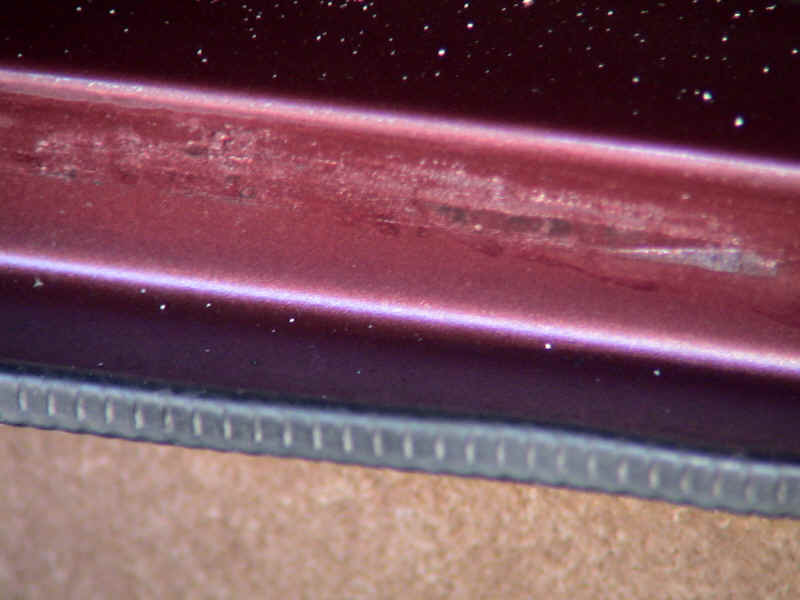 I contacted Prestigious Euro Cars and BOB through the eBay messaging system, and asked if the body had rust, chips, dings or scratches. I asked further if the windows, self-levelling system and all other systems worked as they should. Bob replied, "They do". 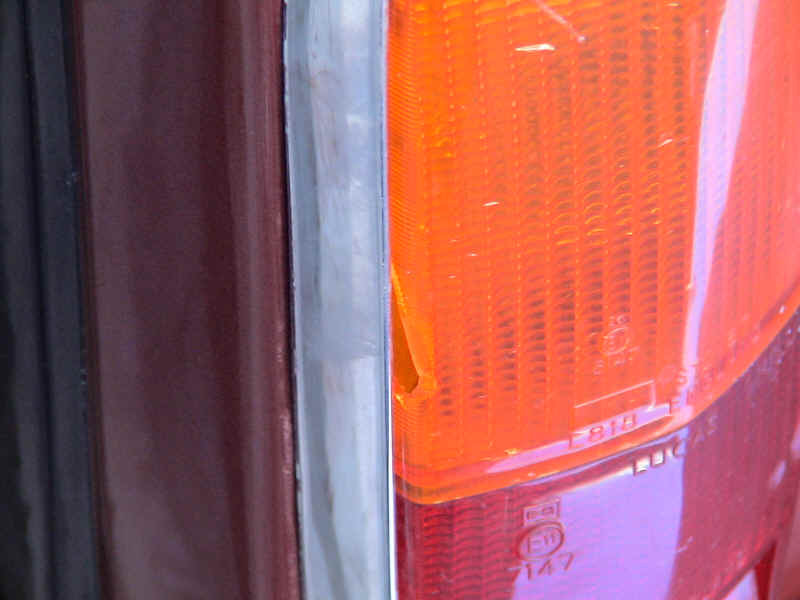 Then the price was agreed at USD 21.000, a price that is four times that of non-running, rusty cars that need a full re-paint. I arranged shipping on a roll on roll off vessel, (where a car needs to be operable) but Bob turned my shipping agent away. Bob then hurried the car away in a container. 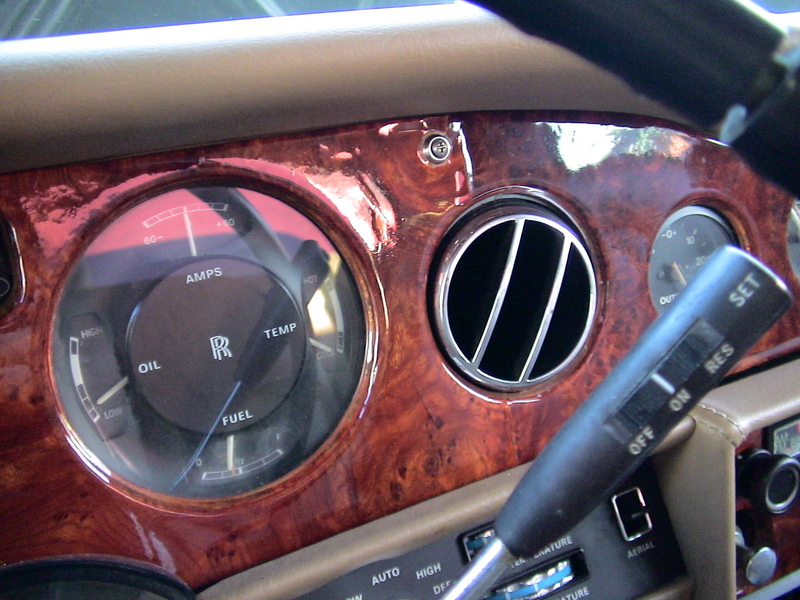 The paint of a Rolls-Royce has a mirror-like surface not a surface lika an orange. 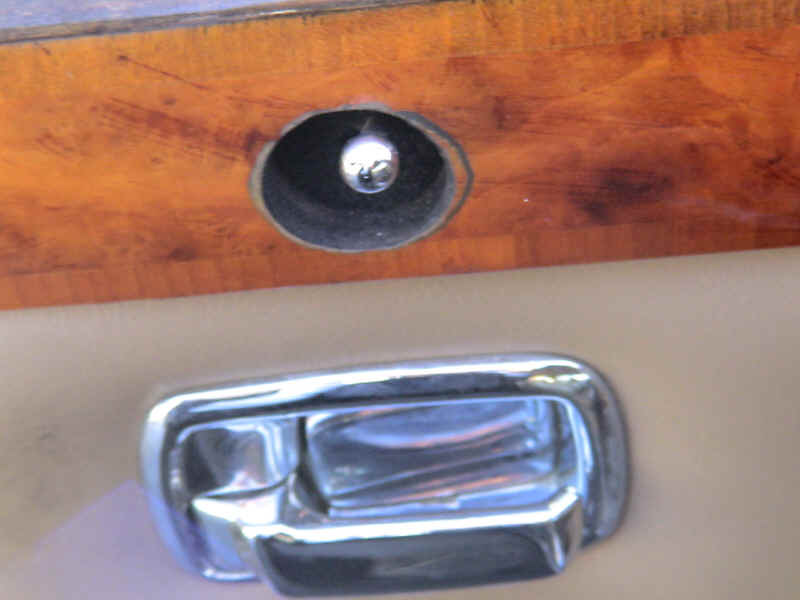 This is the trunk with clear "orange peel" finish by an amateur. Chips in the paint. 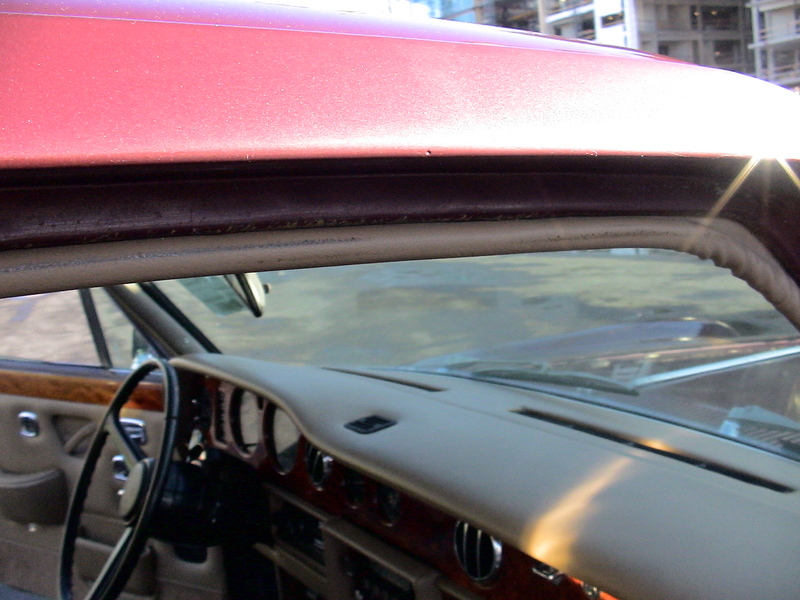 Totally dried up and cracked window seals that need immediate replacement in order not to leak water into the car. In addition this picture show that the repainter has'nt even bothered taking out the windows as the seals are clearly painted burgundy along the edges. Three more chips. 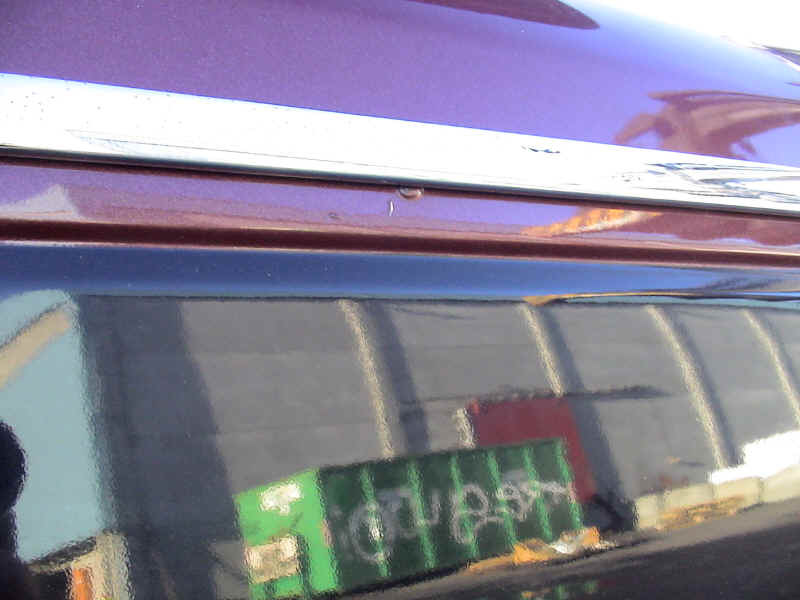 Note that the pinstripes or accent stipes above and below the chrome list are missing on the car I received, but are present on the car in the eBay listing. Is this an entirely different car? I bought a car with accent stripes. Not a good picture, but still the bump in the bootlid edge is visible in the middle of the picture. Major chips. 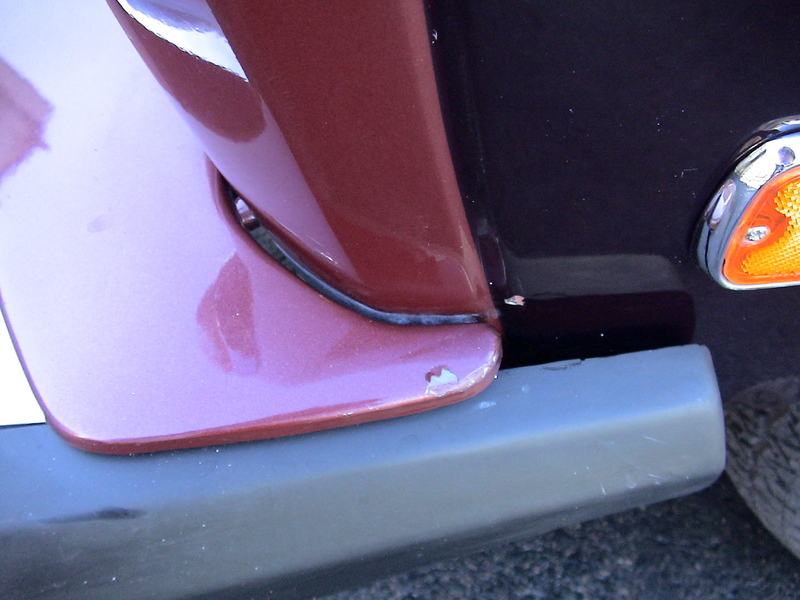 Left front bumper. 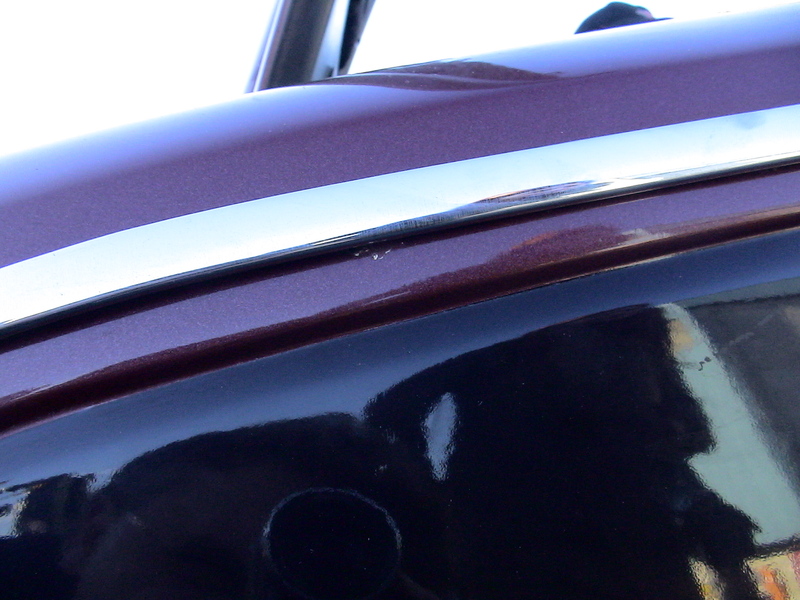 The front one is partially filled with touch up paint. 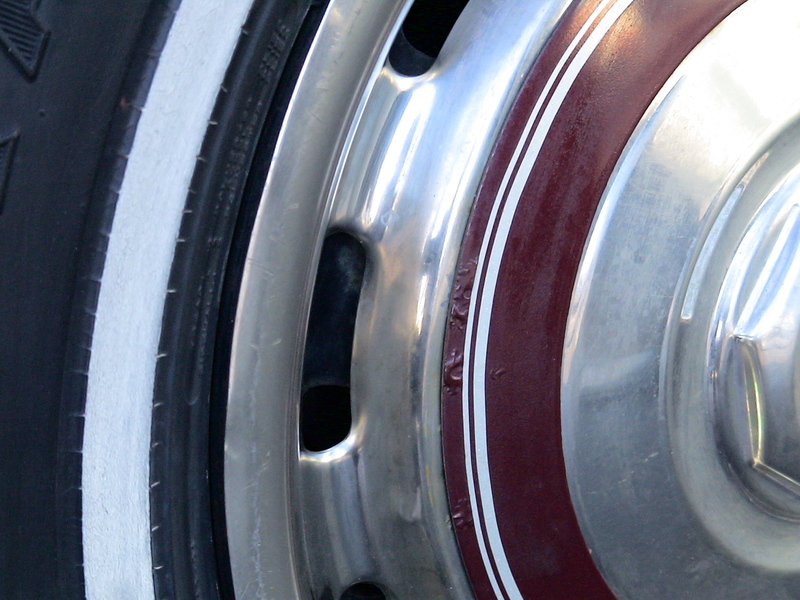 Buckled paint and buckled wheel disc rim. 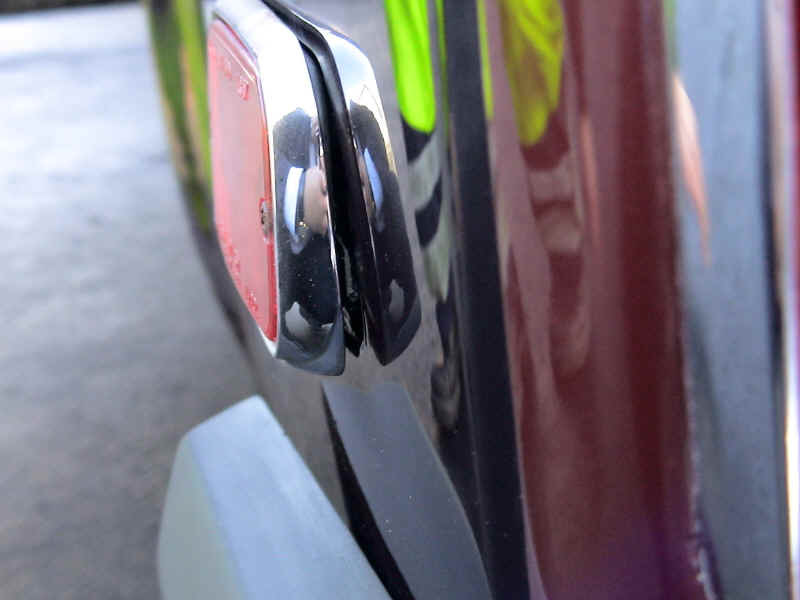 Another angle of the drivers door handle. 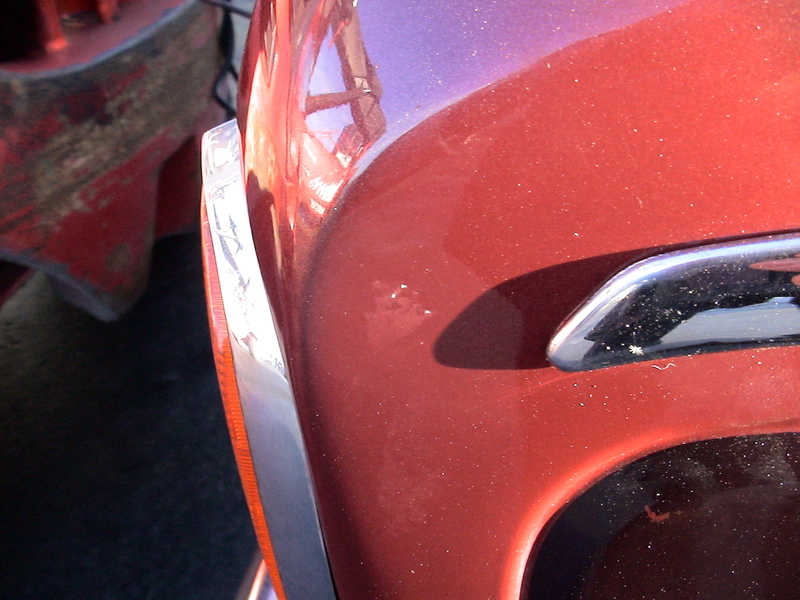 Visible is also the cracked paint above the handle and the nice dash of red paint in the middle of the chrome handle. Large ding and chip in the left rear door. A nice demonstration of orange peel paint that is certainly not original. 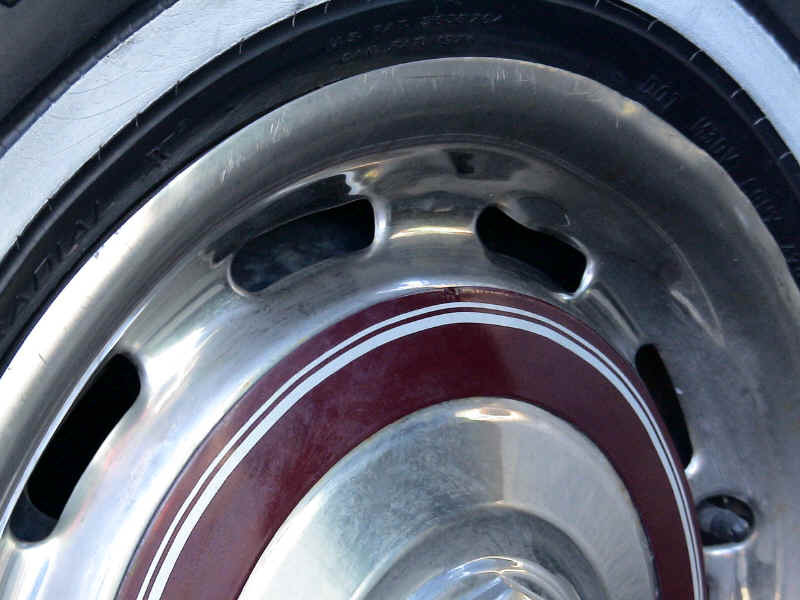 See also chips under the chrome line. Chips over the front passenger door. 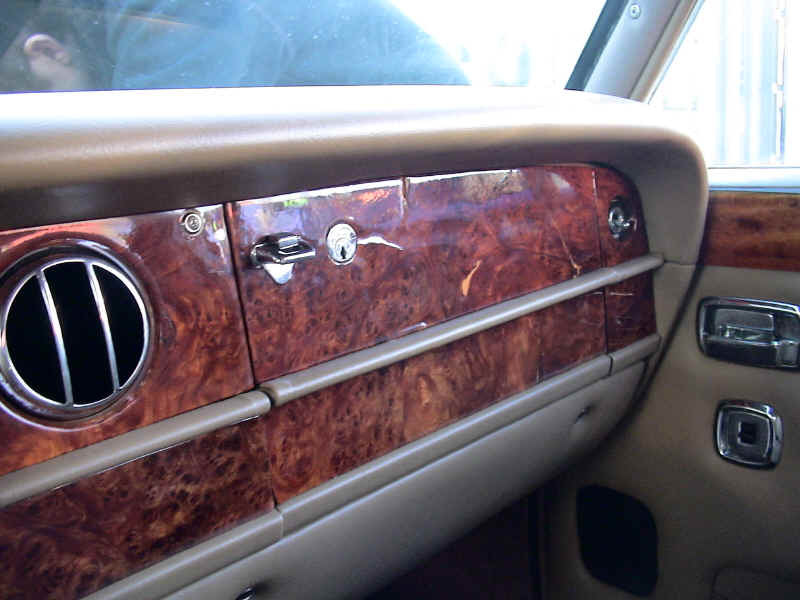 The woodwork has scratches and has been plainly relacquered even though large parts of the veneer was missing and you see the underlying plywood. 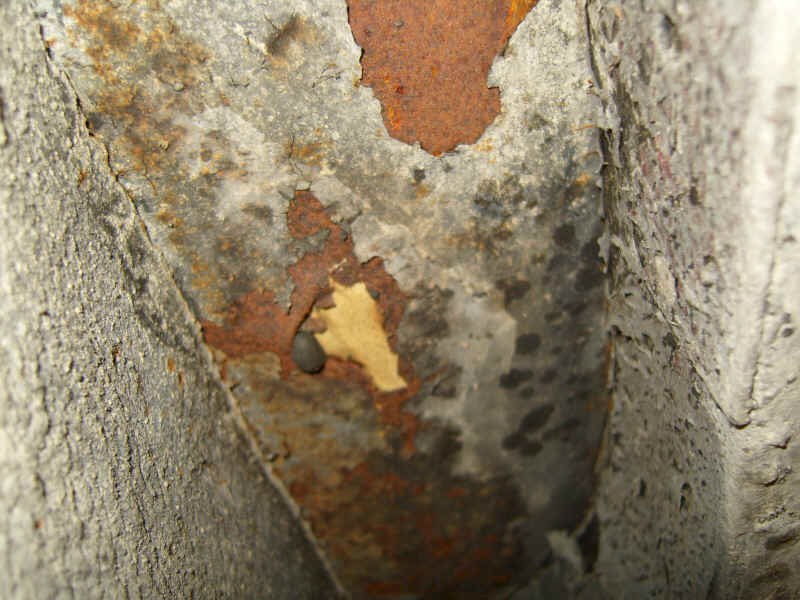 A large cracked portion of veneer around the screw. Not a good picture, but the crack in the veneer between the ignition and announciator panel is visible. 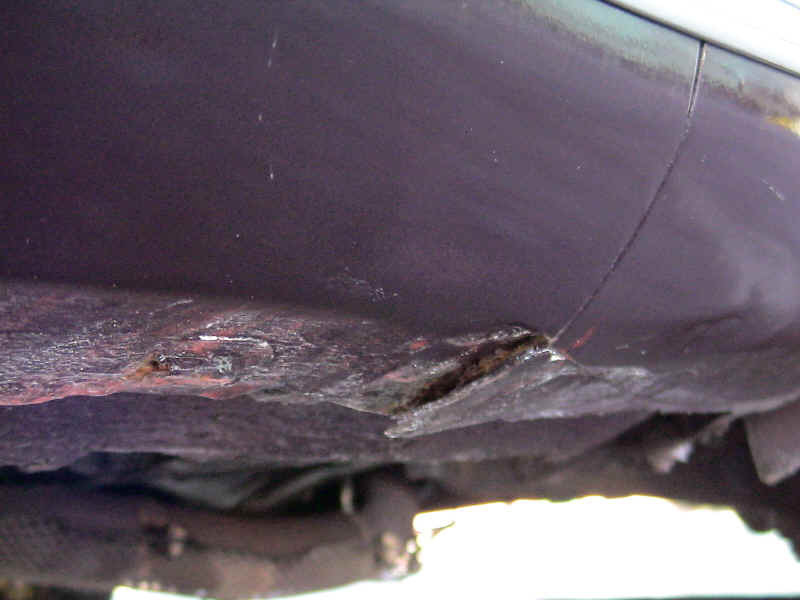 Rust in the trunk. 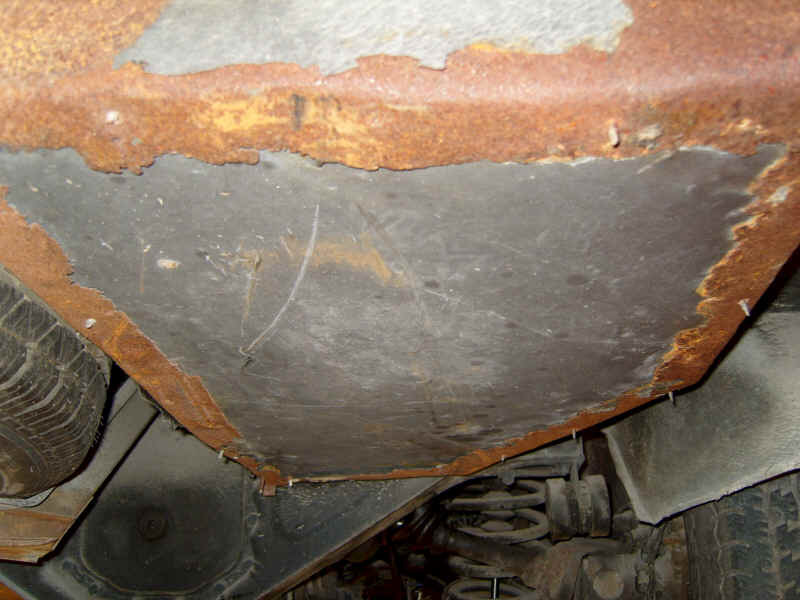 Yes, that is the ground under the car that you see through a rust-hole. 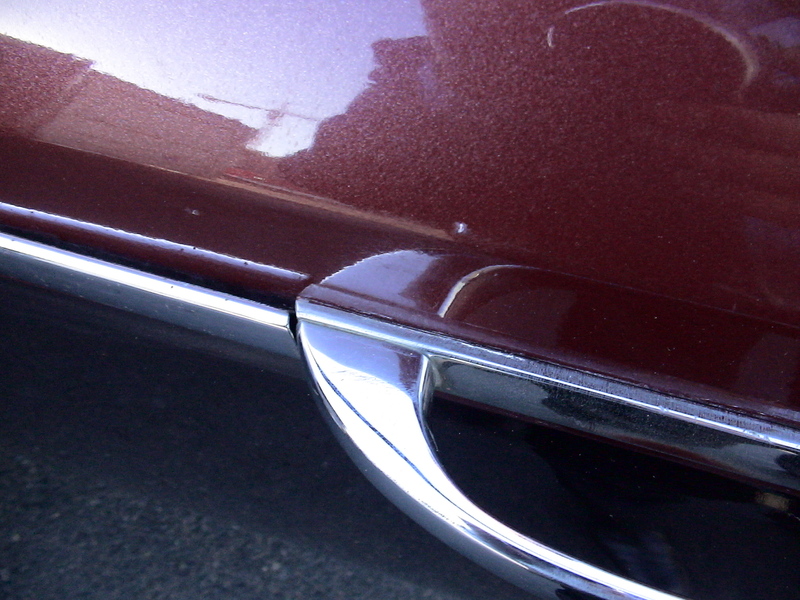 Cracked paint has been plainly overpainted. Cracked and chipped and half touched up by an amateur. 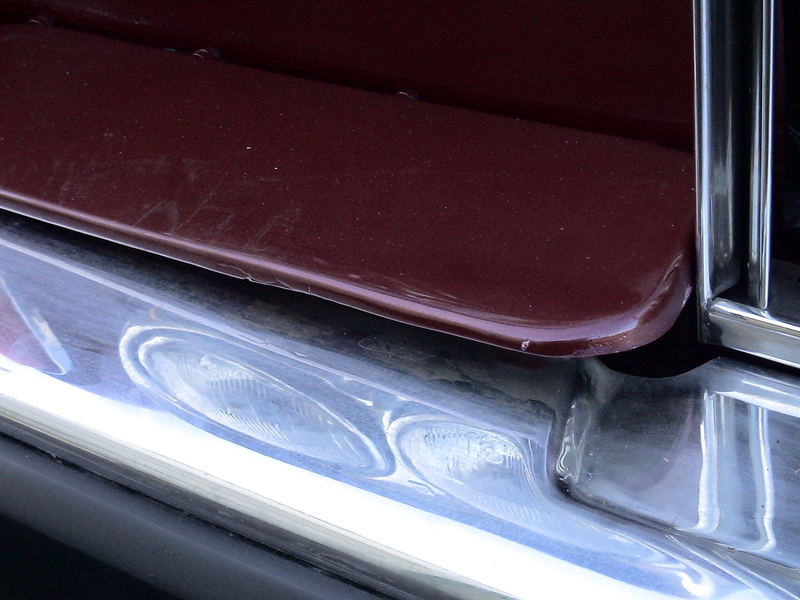 The burgundy plate is also misaligned. 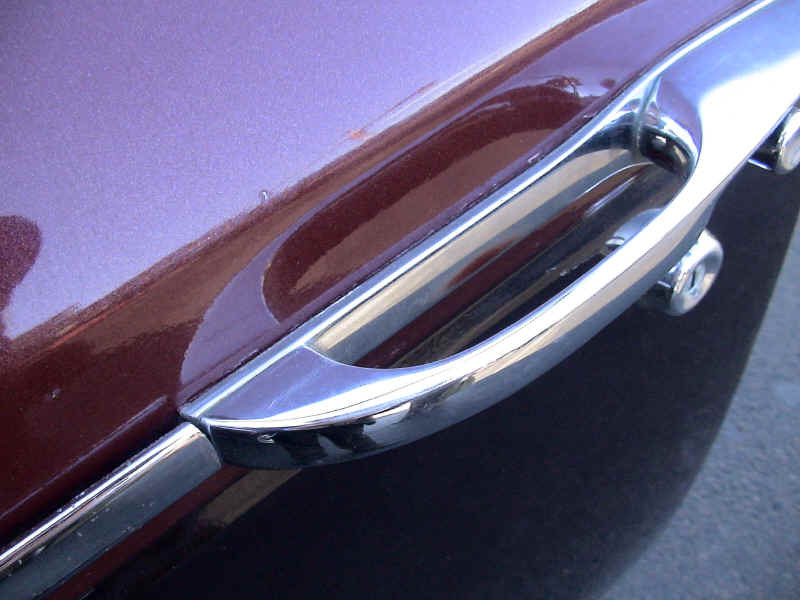 As one see from the two pictures above, the part does not flush with the chrome bumper as it is supposed to, it rises from it the nearer the grille it gets. 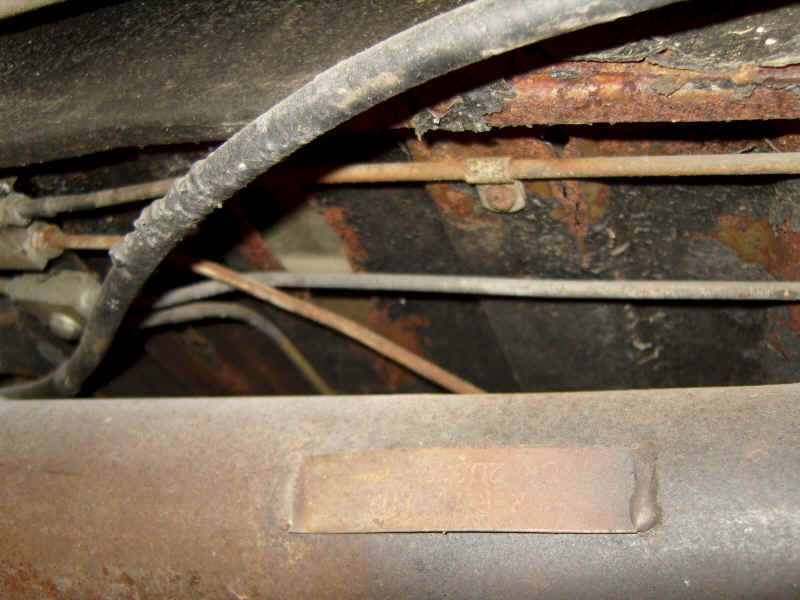 Under the front passenger door there is an old unattended damage with a loose body plate and rust. 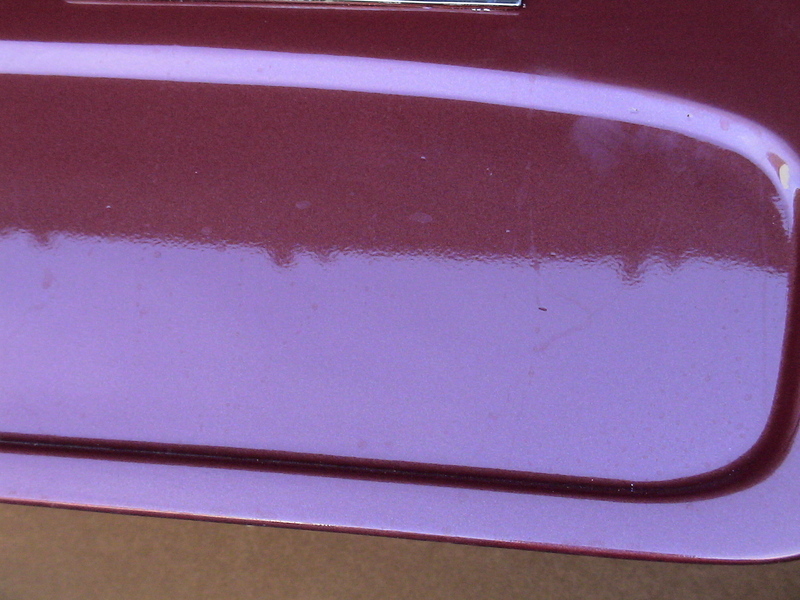 I did not find any spot on the car with original paint. 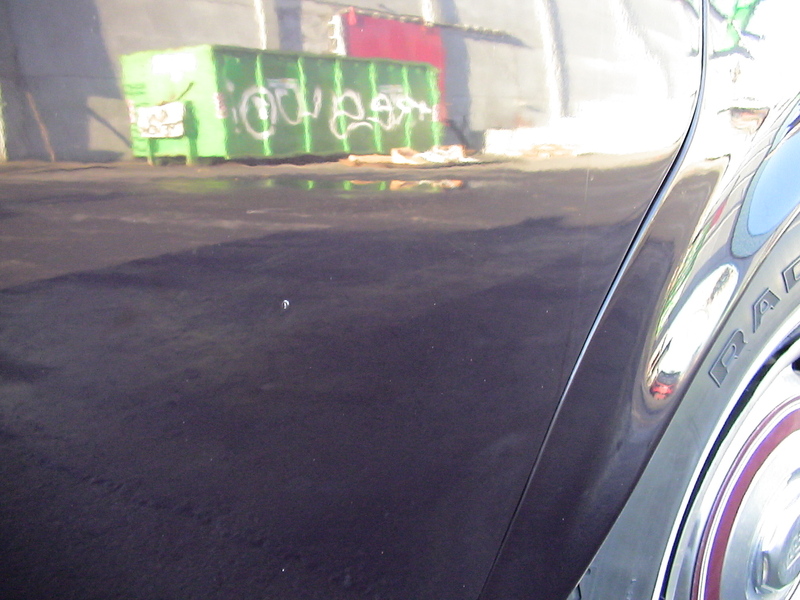 The entire car car seems to have been repainted at some time by a beginner. On top of hopeless paint, the car is full of chips and dings. 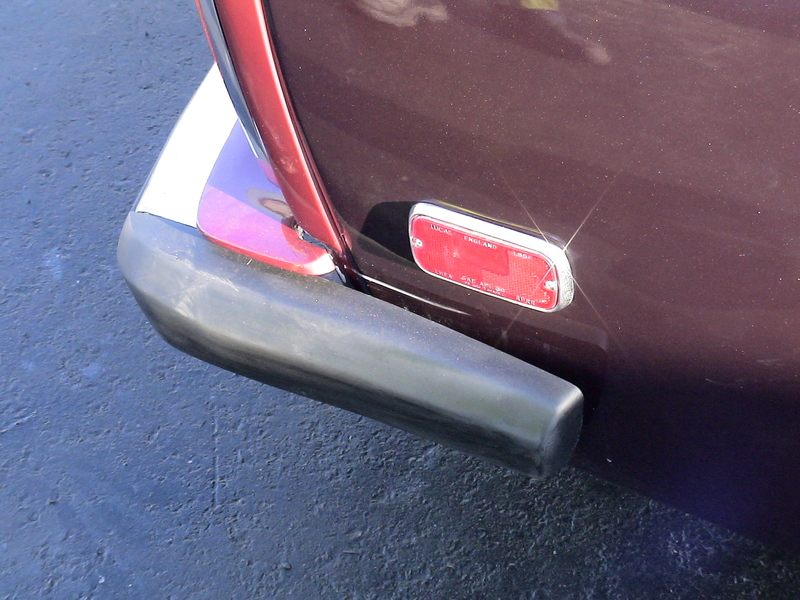 This is by far enough cosmetic faults to make the car uninteresting. I have received an offer for a total respray, including fixing the chips, dings and misalignments, new windowseals and fixing of the rust, from Rhodin automobil at SEK 190.000. (USD 30.000.) (Ask for Anders if you call them.) This does not include the interior. 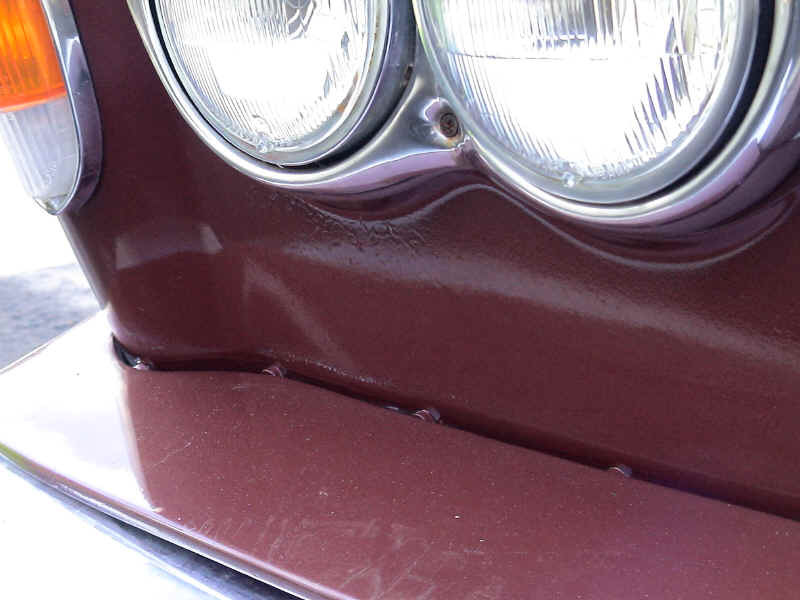 One might argue that the car will be in a better condition after a totally new paintjob performed by professionals, than with the original 30-year-old paint in good condition, as Bob promised. On the other hand I was not in the market for a damaged, rusted and overchipped car. I did not want to perform a full body restoration. If I were, I would have bought a non-runner for USD 5.000. The car has a lot of flaws to its body. 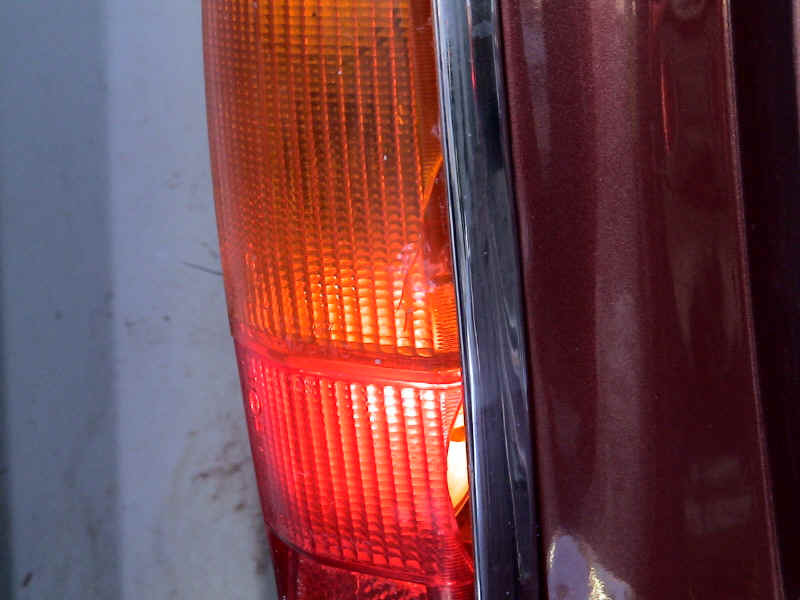 They are not hard to detect for a man who has been servicing these cars for 35 years. 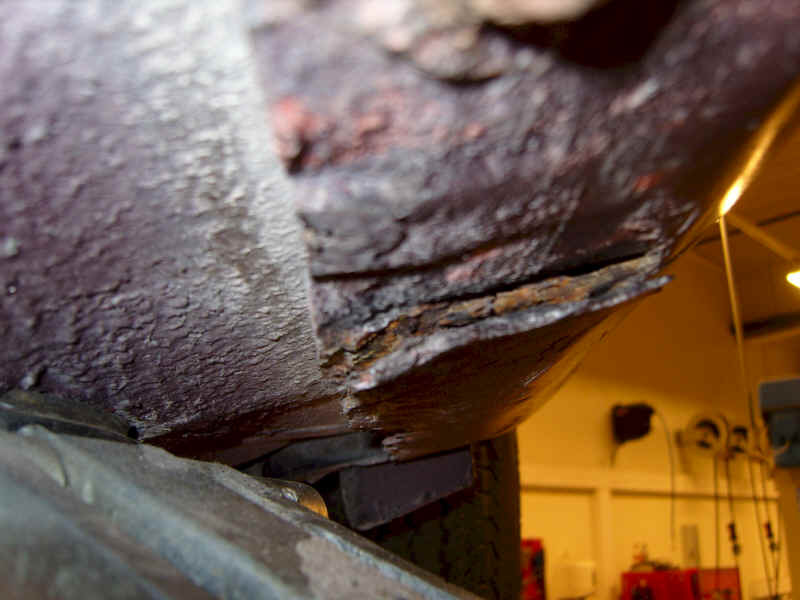 The technical condition was hard to assess, as the car was dead on arrival. One could write this on the account of a flat battery, so I installed a new battery. The car however did not start. The power steering makes horrible noises and I consequently have not driven the car. I collected the shipper’s window sticker from the rear window of the car and was astonished to find that the section labeled “Running” was marked “N”. I e-mailed the shipping agent that Bob sent the car to. 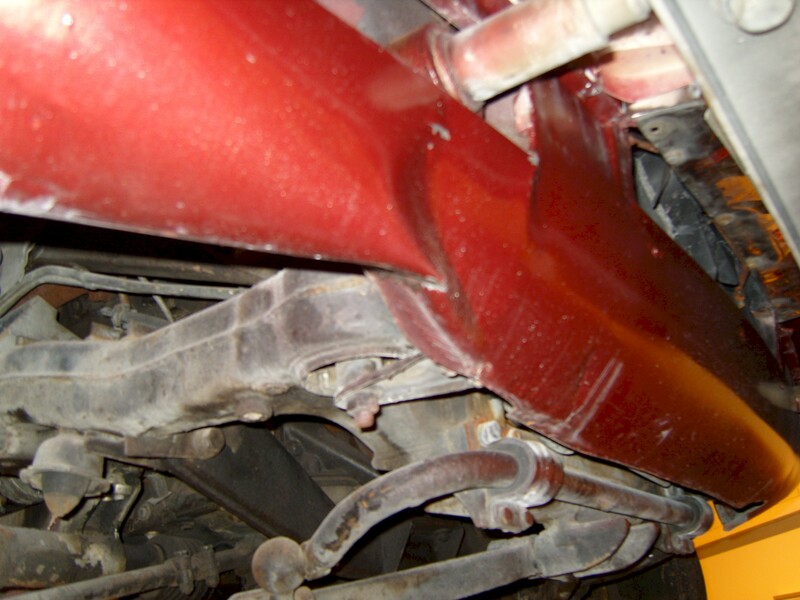 The shipping agent confirmed that the car was indeed inoperable when they got it. Thank you very much for your e-mail and glad to hear that you received your vehicle. I spoke to my warehouse manager in regards of the condition of this unit. He told me by the time they received the vehicle from the trucking company, it wasn't running either. They roll the vehicle in to the container and tide it down. I'm sure Bob will confirm this as well. Once again thanks and please do not hesitate to contact me at anytime. I got the car out of the container today. It was inoperable and could not be started. Was it operable, starting and running when you picked it up at Bob's? I e-mailed BOB, who could not understand why the car would not start, as he had been cruising the motorway with it the day before shipping it out! In order to know how much is wrong with the car, I needed to tow it on a flat bed truck to a capable garage. The ignition was adjusted totally wrong. 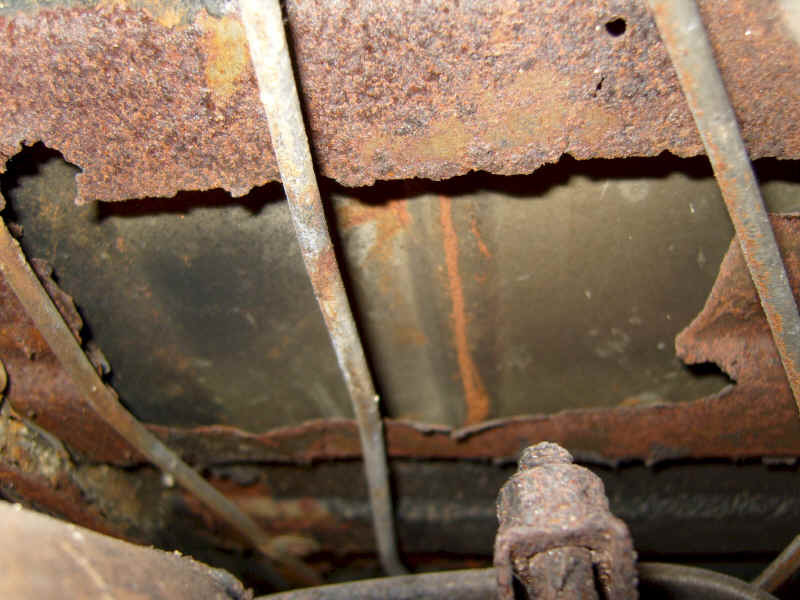 The fuel tank was half full of water and rusted internally. The fuel filters were both clotted. The carburettors had "mud" in them and all seals were disintegrated. Both needed rebuilding. 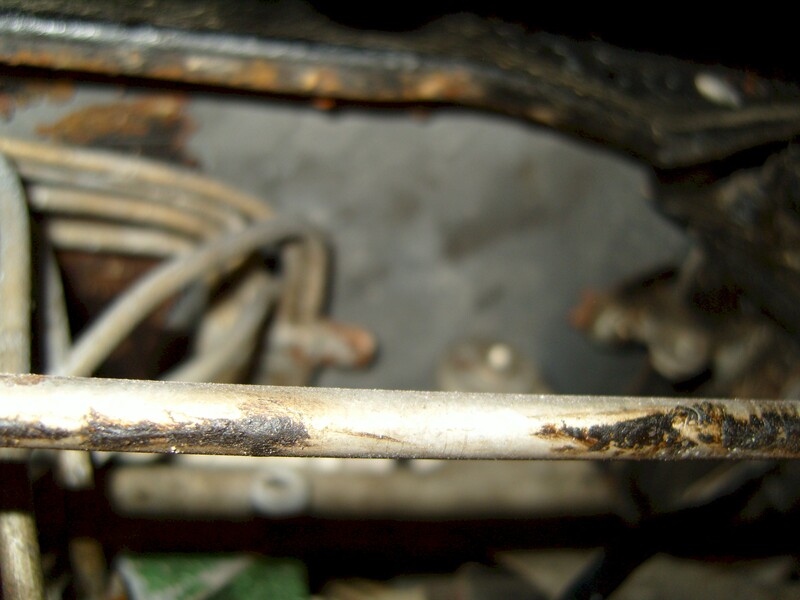 Both catalyst converters were burned and blocked. 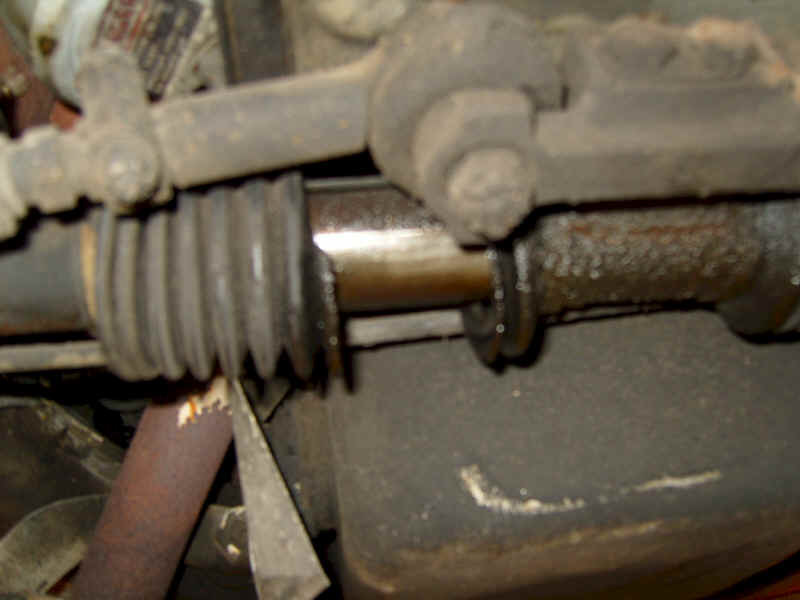 The steering does not work, as the pushrod is too rusty for the seals to keep steering fluid from leaking out. The trunk-floor was totally rusted away. A plate of steel was screwed on top of the rust. 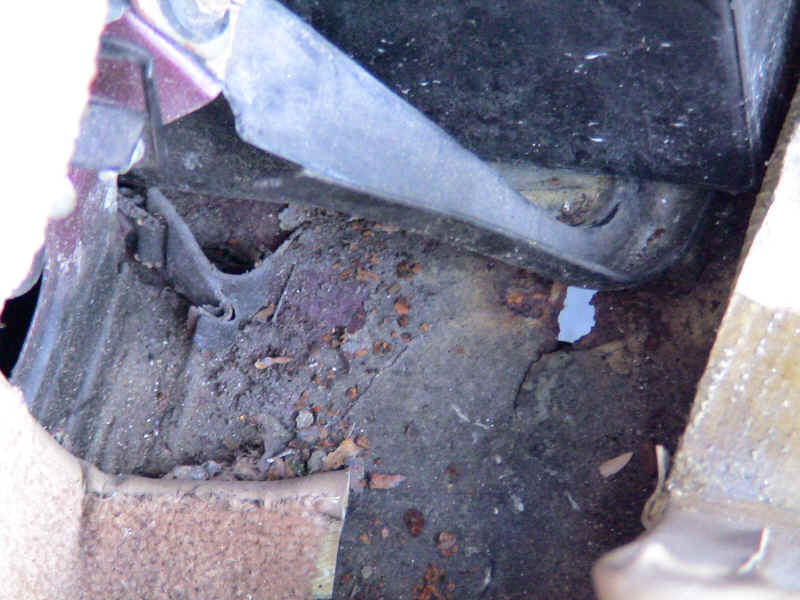 The floor under the drivers feet was totally rusted away. A plate of steel was simply placed on top of the rust. The floor in the left passenger feet bay was partially rusted away. 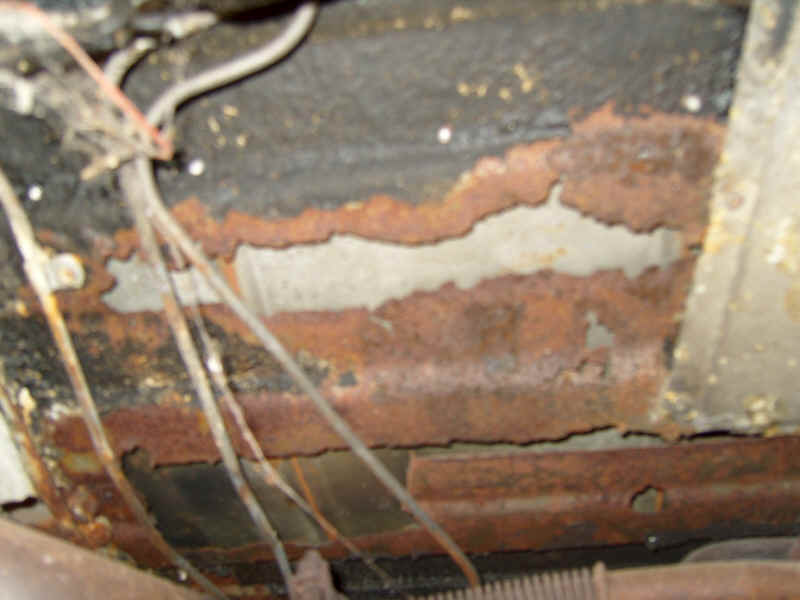 A plate of steel was simply placed on top of the rust. 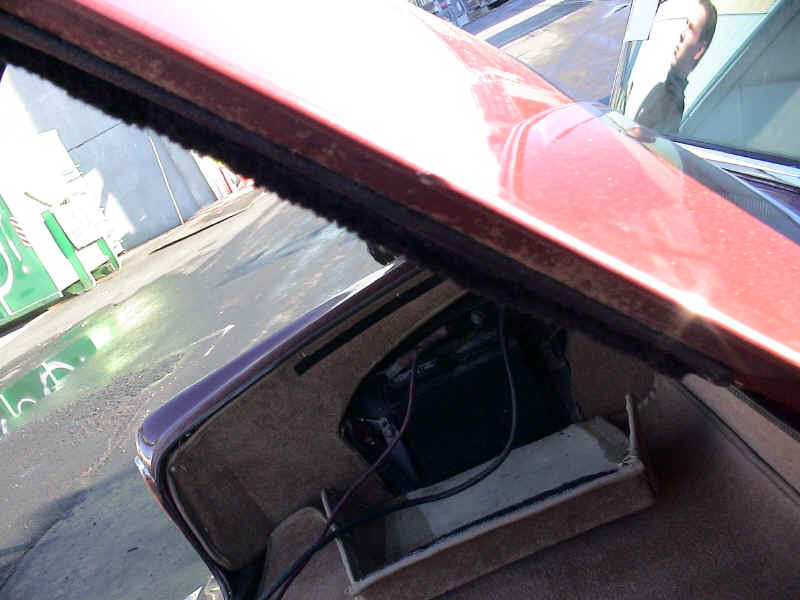 All power windows and seat adjusters were slow and in need of refurbishment. The seat-belts were not locking or not releasing. The windscreen washer did not work. The interior lighting did not work. The outside temperature indicator was not working. The two air conditioner systems were not working. The fan works only at maximum. 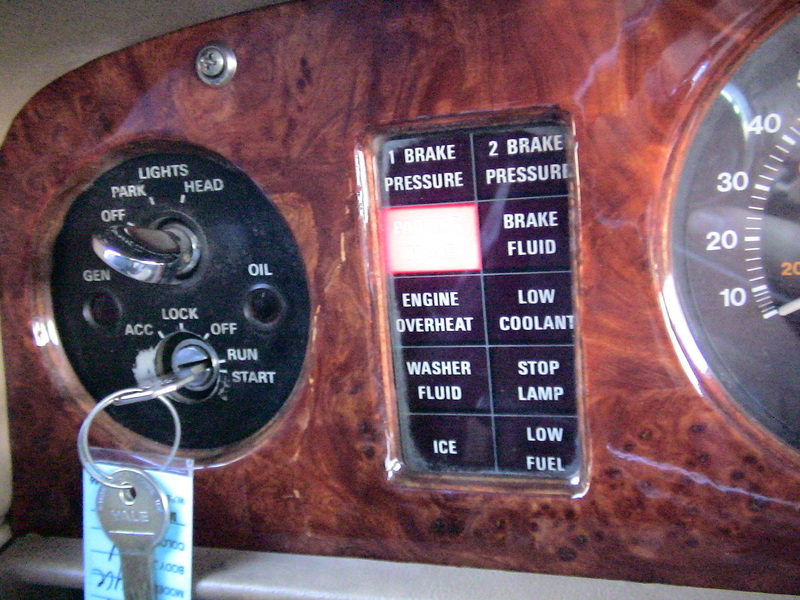 The cruise-control does not work. 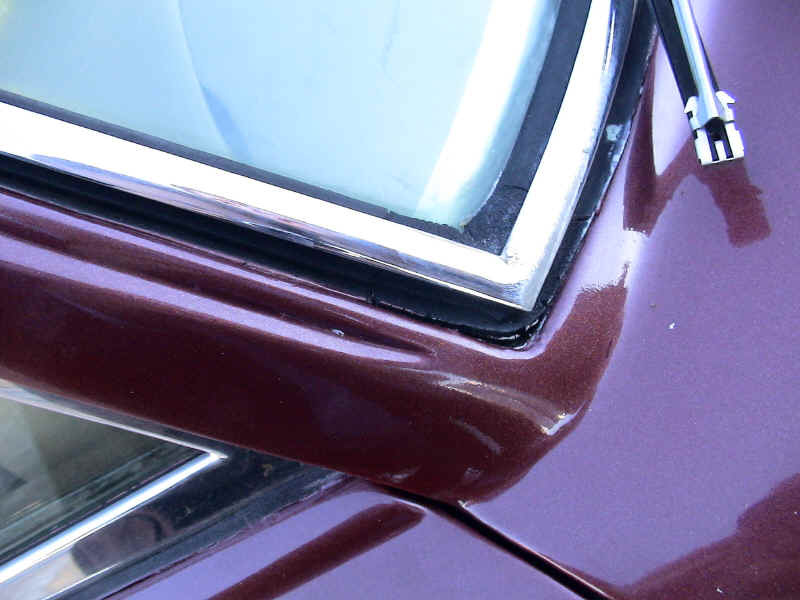 The car was advertised as a 1978 model year car produced in November 1977. I have received a copy of the build records kept by the factory. The build records are here. The build records show no reference to a 1978 model, however the build year is frequently mentioned as 1977. Surfing the net I found that the third letter in the WIN number determines the model year. 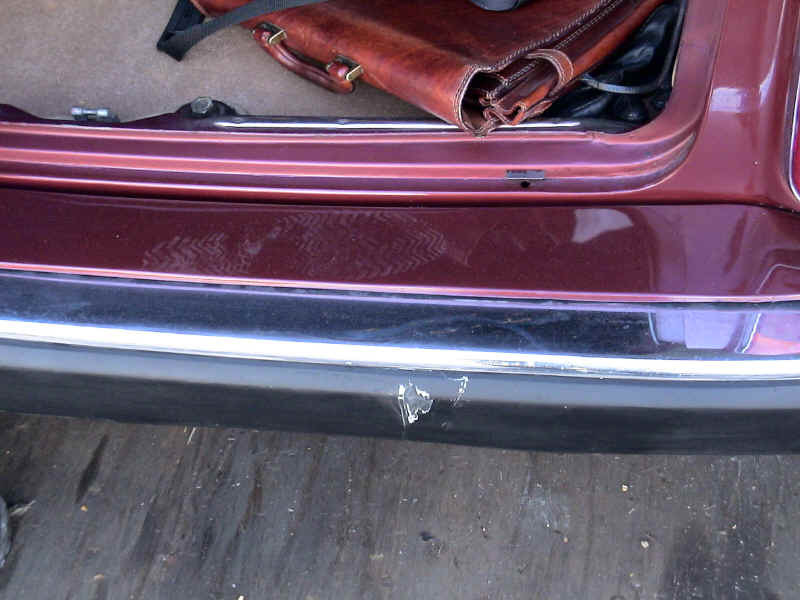 In this case the WIN is SRF 32530 and the "F" indicates that the model year is indeed 1977 and not 1978 as advertised. The WIN should start with the letters SRG if it was a 1978 model. More on WIN disambiguation is found here. 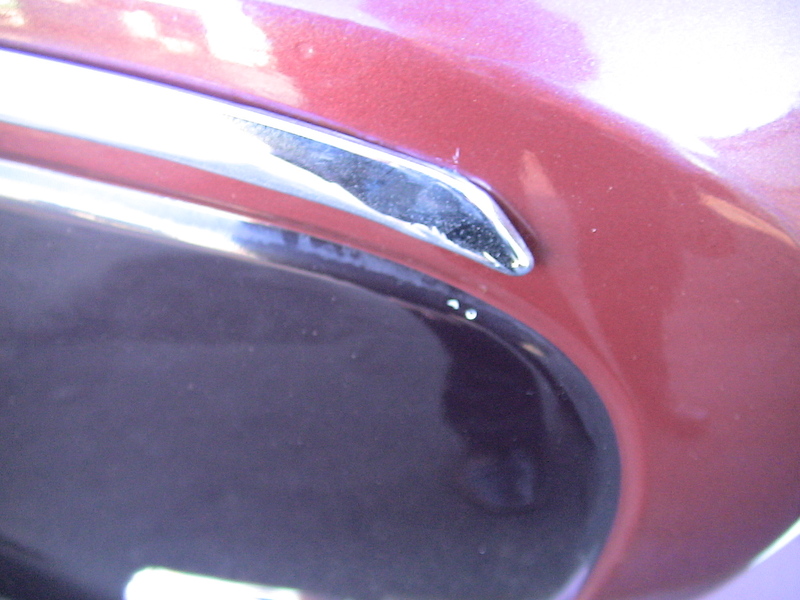 Accident damage and rust under the right front door. 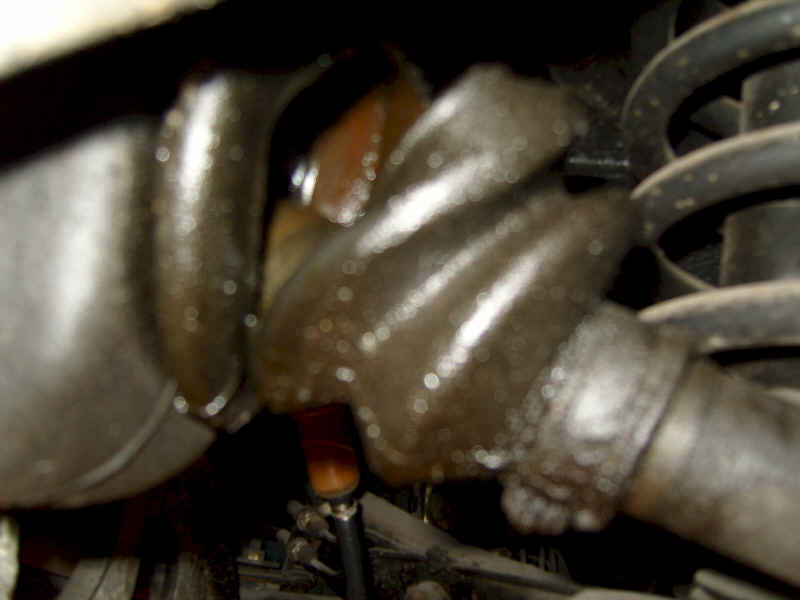 I have paid for a car that according to the eBay listing has: "Great, smooth shifting transmission. The engine in this vehicle runs smooth as silk." 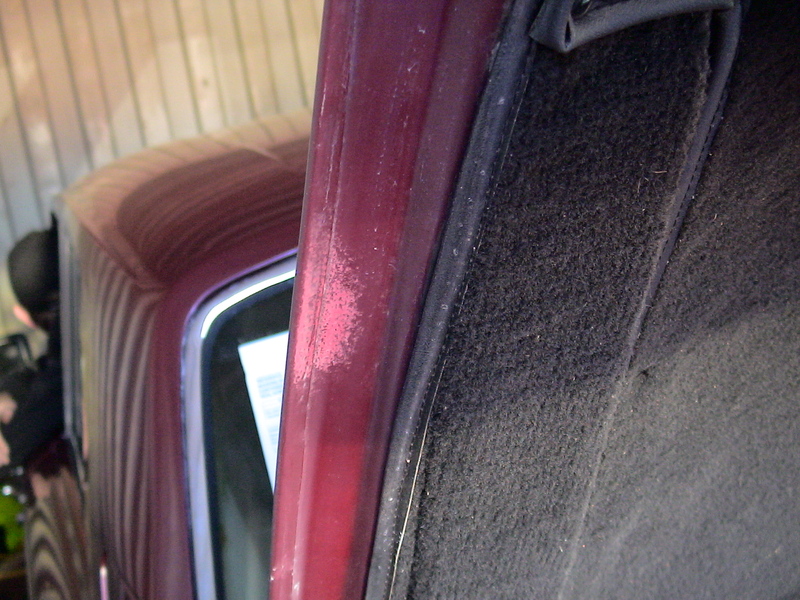 I think it is fair to say that Prestigious Euro Cars did not deliver a car in this condition. Bob does not respond to e-mails anymore. He did not take part in mediation in the Square-trade complaint I filed. Do you want to trust this man? This model of car is very complex and has a lot of systems that need attention from capable people. I got the impression from Bob’s presentation on eBay that he was a capable man. If neglected, these cars can be very expensive to restore. I got exacly what I wanted to avoid. I think it is safe to say that BOBs description of the car was inaccurate. I can not recomend Bob, Prestigious EuroCars, or Robert Antanasov. I hope this web-page make you think twice about this man. I will be glad to answer any questions you might have at sunde at sunde.tc.